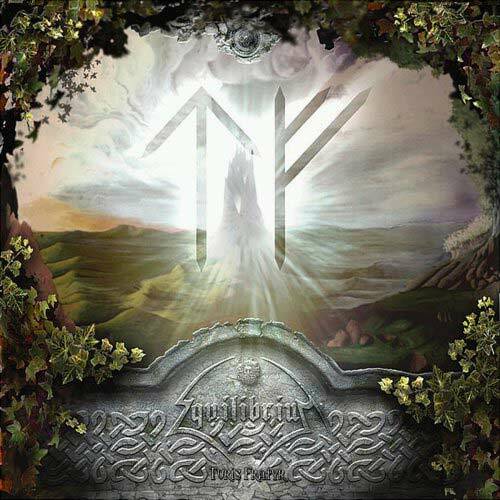 Turis Fratyr may be touted as being Equilibrium’s greatest achievement, an undiluted injection of folk metal mastery, but if observed outside of the context of nostalgia, the supposed mastery of this album comes with its fair share of flaws. What determines the quality of this album is a hodge-podge of various attributes, and while some of them are on point, other fall flat on their face. The songwriting and the atmosphere are two of Turis Fratyr’s unmatched aspects, but the execution and instrumentation leave very much to be desired. That is not to say that it is irredeemable, however; otherwise the rating would not have been as high as it is. In terms of the actual songwriting, I don’t think it’s controversial to say that some of Equilibrium’s greatest ideas were showcased with this release. I used to think that the album was but a lazy attempt to extend the fantastic ideas from their 2003 demo into a full length album, but in retrospect some of the album’s best moments were from entirely new songs, like “Wingthor’s Hammer” and “Widars Hallen”, and even some of “Tote Heldensagen” provided new and interesting sounds. It’s an appropriate balance between their earliest material and a few masterworks developed in the few years in between. The melodies are extremely catchy and they would stick in the listener’s head longer than they do if it weren’t for the fact that almost every song is memorable in its own right. One might be still humming “Wingthor’s Hammer” to themselves when suddenly the unforgettable tune of “Under Der Eiche” hits like a ton of bricks as soon as the main riff opens up. In fact, “Under Der Eiche” and “Nordheim” have melodies so intensely memorable that one could swear that they’ve heard it elsewhere before. It’s totally original and totally timeless, and so are the main themes and tropes of most of the songs on this album. There is especial grit and ferociousness to “Widars Hallen”, though, if only for the in-your-face sound it conveys, forcing not only the listener’s attention but their astonishment. The themes that counter the main themes, too, have a near and dear place in one’s ear, which act as a kind of response to the ferocity of the main themes with a healthy dose of sanity, grounding the album in some classic melodic death metal riffs. I think of this primarily in “Die Prophezeiung” and “Nordheim”. There is an icy chill to the feel of Turis Fratyr, which bridges the gap between the songwriting itself and the instrumentation. The use of the woodwind instruments, one would think, would bring almost a sort of musical “humidity” to the album. However, with the use of the pan flute in “Nordheim” and the higher-pitched flutes in some of the original additions to the album, paired with the synthesizer influence all throughout, the mood presented is colder and far less accommodating. Turis Fratyr in that sense bears an acquired taste, but it is the elements of this acquired taste where the positives of the instrumentation come to an end. The guitar tone is bland. Nowhere is this more evident than on “Der Sturm”, easily the worst song on the album, but without the atmospheric flavoring scattered throughout the rest of this release, it would not be nearly as delicious of an album. Furthermore, even when the atmosphere is quite good, the instrumentation which made the songs so enjoyable initially is forgone as each song progresses, and I can never understand why. The main melodies of the choruses and the synthetic partners to the bland riffs seem to have been left by the wayside in the last few minutes of “Wingthor’s Hammer”, “Widars Hallen”, “Nordheim”, and “Tote Heldensagen”. Sure, there is a time for subtlety, but that time is not whenever you’re trying to end your song with a big shebang. Like I mentioned before, it just causes it to fall flat. Take for example, the ¾ time theme halfway through “Tote Heldensagen”: it appears in brevity in the background, and as the song builds to what is expected to be a massive release of this trope, it holds itself in, almost as if it doesn’t realize how good of songwriting it actually is. That is how the shortcomings of Turis Fratyr can be summarized: it is too timid to just let loose and let the high-quality songwriting govern its instrumentation. The instrumental songs are cute, but also kind of useless, seemingly only in place to create the guise of the album’s longevity. There are twelve songs on the album, but in actuality there are only eight if the instrumentals are excluded. Those eights songs are quite solid, overall, but I see no need to dilute the whole album with four tracks that don’t really add a whole lot of meatiness to the album itself. Keep “Im Fackelschein”, and if absolutely necessary “Wald Der Freiheit”, but “Heimdalls Ruf” and “Turis Fratyr” just need to go. Turis Fratyr is not a bad album. In fact, it’s a quite good album. The biggest problem is that it doesn’t realize that it could be phenomenal. In fact, the inadequate execution and poor mixing seems much like a shameful cover-up of feigned quality, blocking the way to the best part: the songwriting itself.